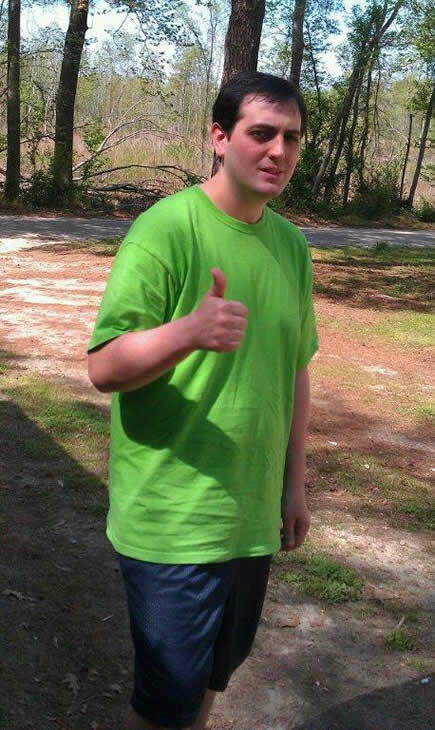 Garner police spent a second straight day Tuesday searching Lake Benson for any signs of 26-year-old James Hipp. GARNER, N.C. (WTVD) -- Garner police spent a second straight day Tuesday searching Lake Benson for any signs of 26-year-old James Hipp. While police searched, Hipp's mom was desperately hoping that her son was not in the water. "I can't sleep, I can't eat. I just want my son home. I want him so bad, I can taste it," said Lucy Durbin. Like any mother would, Durbin is holding out hope. She hasn't seen her son since Saturday night. He was at the home they share on Pamela Drive in Raleigh. Late Sunday night, Durbin said she got a knock on the door. It was a Wake County deputy. "[The deputy] opened the door, and she said, 'Do you know a James Hipp?' And I said, 'Well, yeah that's my son. What happened?'" Durbin thought her son was still on the job, working at the nearby Bojangles. The deputy brought worrisome news. "And she proceeded to tell me that they found his car at Lake Benson, but they can't find him," Durbin explained. "I was losing it because he's all I have." The search for James has been in full swing ever since. Garner police brought in search boats to comb Lake Benson near where James's car was found. Durbin said her son's cell phone, keys, and wallet were all hidden inside, but the car was unlocked. It's something she said James would never do. Garner police told ABC 11 that investigators found something inside the car indicating James may have tried to harm himself. Durbin believes it's a note, but officers haven't let her see it. "He wasn't the type of person that took life for granted. He enjoyed every minute of it," Durbin insists. "Maybe he fell, he hit his head or he got amnesia or someone picked him up, or someone's seen him. Could they please, please call Garner police". Durbin wants answers. Even more, she wants to see her son again. "James if you're out there, please come home," Durbin pleaded. "Momma wants you. Momma misses you." Durbin said Garner police ended their search of Lake Benson early on Tuesday due to malfunctioning equipment. The search is expected to resume Wednesday. Please call Garner Police if you have any information at (919) 772-8810.